By turning down the activity of a specific RNA molecule, researchers at Sahlgrenska Academy, Sweden, have cured lung tumors in mice by 40-50 percent. The results, published in Nature Communications, represent the tip of the iceberg in an extensive research project in which 633 new biomarkers for 14 types of cancer have been identified. "Since there is a strong link between cell division cycle and cancer, we are using it as the basis for identifying the important long non-coding RNA molecules that play a key role in cancer growth. Higher expression of some of these long noncoding RNA molecules during cell division cycle may cause cells to divide uncontrollably to become cancerous, explains Chandrasekhar Kanduri. "This link is known, but no one has made such a broad and extensive analysis previously, nor examined long noncoding RNAs so specifically," he continues. "Thus we have identified a new method, optimized it in a lab environment, and identified long noncoding RNA molecules that are involved in uncontrolled cell division. By taking aim at these specific molecules, we have reduced cancer growth. 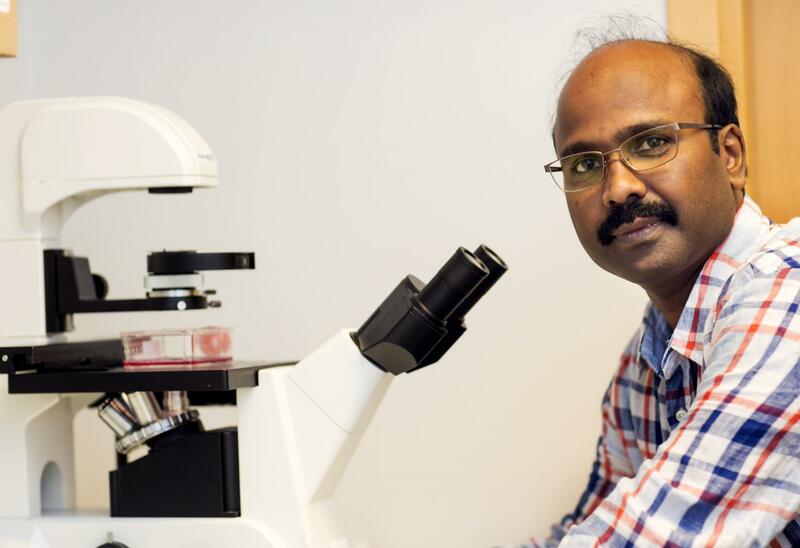 Furthermore, the molecules can also be used to predict the disease," says Chandrasekhar Kanduri. "We are proposing that this RNA-based method be used to treat lung cancer, for which the survival rate after five years is currently only 18 percent," he continues. "We need to conduct more studies to see if there is potential to carry out clinical trials in patients, but we believe there is a future for RNA-based treatment in the treatment of cancer."